FLATline OCR SCHEDULE & PURCHASE — Hart Fitness Spartan SGX & FLATline O.C.R. Powered by a Spartan SGX Certified Coach, FLATline OCR Training is the pinnacle of Obstacle Course Training in the Naperville area. Located in Plainfield, Hart Fitness boasts a gym as specialized in OCR as the program that we coach. FLATline OCR Training runs 4 classes throughout the week, the entire year long (excluding some holidays and race weekends). 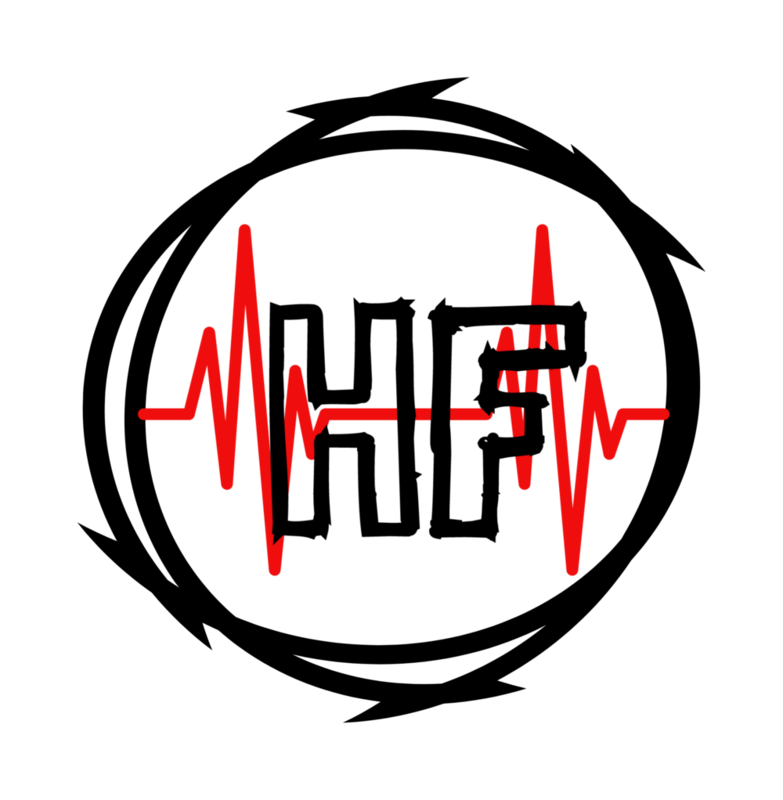 FLATline OCR's SPRING AND SUMMER SCHEDULE INCLUDES 6:30PM MONDAY AT BLACKWELL FOREST PRESERVE, WEDNESDAY 7PM SPARTAN SGX BACK TO BASICS FUNDAMENTALS CLASS AT HART FITNESS, 5AM AND 7PM FLATline OCR SIMULATION THURSDAYS AT HART FITNESS, & 6:15AM FLATline SATURDAY AT HART FITNESS. OUR FALL AND WINTER SCHEDULE INCLUDES FLATline OCR STRENGTH AND TEAM BUILDING 7PM MONDAY NIGHTS AT HART FITNESS, WEDNESDAY 7PM SPARTAN SGX BACK TO BASICS FUNDAMENTALS CLASS AT HART FITNESS, FLATline OCR SIMULATION 5AM AND 7PM THURSDAYS AND FLATline OCR SIMULATION 6:15am SATURDAYS. And since OCR Races like Spartan Race, Tough Mudder, Savage Race, Bone FROG,Terrain Race, and Warrior Dash aren't run inside, you can rest assured that our training won't entirely be either which is why besides using the outdoors of our grounds at Hart Fitness, we travel to Mt. Hoy at Blackwell Forest Preserve throughout the week as well. Even cooler? FLATline OCR is a fantastic place to train for our outstanding community of growing LOCAL OCR'S such as STRONG AS OAK, FRONTLINE OCR, HIGHLANDER ASSAULT, DIRT RUNNER AND ABOMINABLE SNOW RACE! WANT TO TRY A FLATLINE OCR CLASS FOR FREE? CONTACT US AT RYAN@HARTFITNESSLLC.COM OR CALL 630 544 4923 TO SET UP YOUR ONE TIME FREE TRIAL SESSION! The FLATline OCR Training 3 month program is a fantastic way to refine, improve or develop the skills needed to succeed at your next Obstacle Race. Our 3 month commitment provides you with UNLIMITED access to any of our FLATline OCR Classes per week INCLUDING Spartan SGX BACK TO BASICS (B2B) FUNDAMENTALS CLASS with FREE open gym for $120/Month ($360 for 12 weeks). IN ADDITION you will receive our official FLATline OCR Hat AND FREE RAPID REBOOT over the duration of the 3 month program. 3 month commitment begins from day of purchase. The FLATline OCR Training 6 month program is for anyone looking to crush their personal best at their next Obstacle Course Race. Our 6 month commitment provides you with UNLIMITED access to any of our FLATline OCR classes INCLUDING Spartan SGX BACK TO BASICS (B2B) FUNDAMENTALS CLASS with FREE open gym for $116/Month ($700 per 24 weeks). IN ADDITION you will receive our official FLATline OCR HOODIE and FREE RAPID REBOOT for the duration of the 6 months PLUS EITHER the FLATLINE OCR ULTRA BOUND PROGRAM OR HOLIDAY SEASON PASS. 6 month commitment begins from day of purchase. The FLATline OCR 5 Class pass enables you to choose any 5 FLATline OCR classes offered throughout a 3 MONTH PERIOD INCLUDING Spartan SGX BACK TO BASICS (B2B) FUNDAMENTALS CLASS (from day of FIRST USE). Come test your OCR skills at our facility in Plainfield, IL or come take on Mt. Hoy at Blackwell Forest Preserve with other members of the amazing OCR community for $95 ($19 per class)! For $139 per month, the FLATline OCR Membership gets you 2 FLATline OCR Classes per week (or 8 per month) at Hart Fitness or Mt. Hoy, Blackwell Forest Preserve as well as FREE open gym and a HARTFIT INBOX WOD for any class that you cannot make WITHIN your 8 sessions Additional classes are $10 after the 8 monthly are used and before the start of the next month. Memberships are automatically charged on the 1st of every month until cancelled. Every FLATline OCR Monthly Member also receives a FREE FLATline OCR/ Swag bag complete with FLATline OCR T-Shirt, Wristband, and Water Bottle. The FLATline OCR ULTRA BOUND Pass is an 8 session program from every Sunday from February 24 to April 14 2019 and is the ideal training plan, duration and intensity for anyone who lives for the challenge of a multi-lap OCR event such as the Spartan Ultra. Trail runs, heavy carries, steep inclines and relentless declines over the course of a 2 to 4 hour class can be expected as well as accumulated elevation from 1,000 to 4,000 feet. If you’ve ever experienced a FLATline OCR Holiday WOD, you already know what you’re in for. The program peaks with a minimum 6 hour event in which you will receive the official FLATliners engraved steel belt buckle. Space is limited. The FLATline OCR Training 12 month MEMBERSHIP is for our OCR addicts who just can't get enough of Obstacle Course Racing. Our 12 month commitment provides you with UNLIMITED access to any of our FLATline OCR Classes with INCLUDING Spartan SGX BACK TO BASICS (B2B) FUNDAMENTALS CLASS with FREE open gym $101/Month ($1,210 per 52 weeks). IN ADDITION you will receive our official FLATline OCR HOODIE AND YOUR CHOICE of EITHER the FLATline OCR ULTRA BOUND PROGRAM AND HOLIDAY PROGRAM OR 6 WEEKS OF HART HEALTHY NUTRITIONAL COUNSELING! 12 month commitment begins from day of purchase. The FLATline OCR 10 Class pass enables you to choose any 10 FLATline OCR classes offered throughout a 6 MONTH PERIOD INCLUDING Spartan SGX BACK TO BASICS (B2B) FUNDAMENTALS CLASS (from day of FIRST USE). Come test your OCR skills at our facility in Plainfield, IL or come take on Mt. Hoy at Blackwell Forest Preserve with other members of the amazing OCR community for $160 ($16 per class)! B2B will essentially be a reset button for the body. So often in OCR training we always hit the gas pedal and very rarely slow down. But the body needs consistent maintenance. That's where this class comes in, fine tuning the body trying to make certain areas bulletproof so we can avoid injury and maximize our potential. There will be a heavy focus on core strength, mobility/durability movements, as well as ways to enhance recovery. It will still be a challenging class but you should leave feeling refreshed in a sense. B2B IS OFFERED AS PART OF ANY FLATline OCR Class package. IN ADDITION, those who wish to purchase the B2B Class SEPARATELY can do so by clicking one of the links below.